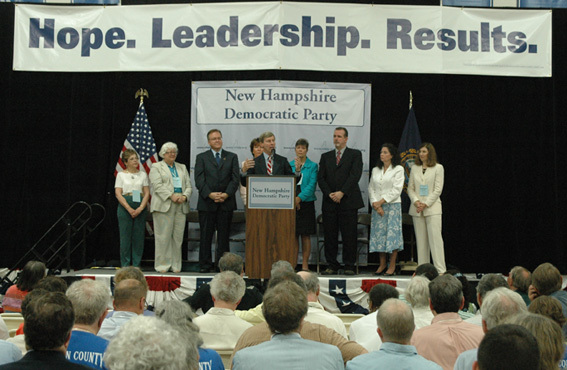 June 2, 2007--Held one day before the CNN/CNN/WMUR/New Hampshire Union Leader debate at St. Anselm College, the New Hampshire Democratic Party Convention attracted five of the Democratic presidential candidates; surrogates spoke on behalf of the other three campaigns. 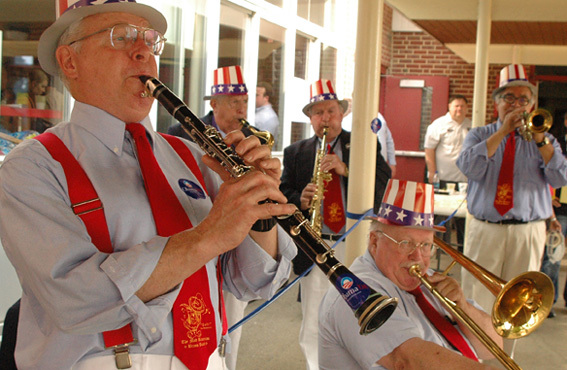 Photos: The Mad Bavarian Brass Band plays outside the entrance; campaign and interest group tables; Democratic leaders back Gov. 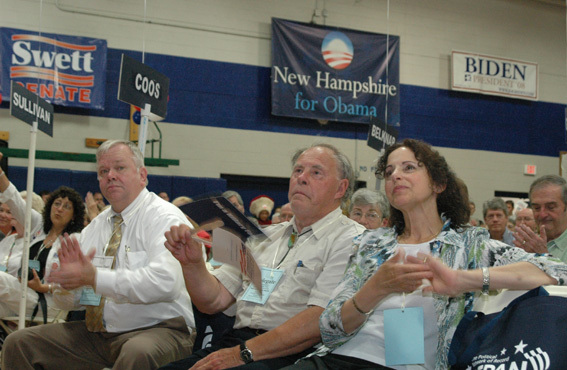 John Lynch on the stage; State Rep. Evalyn S Merrick (Lancaster-Coos County) applauds during a speech (note that her neighbor is using not one but two fans in an effort to keep cool). By way of a footnote there were four sponsorship levels for the convention. 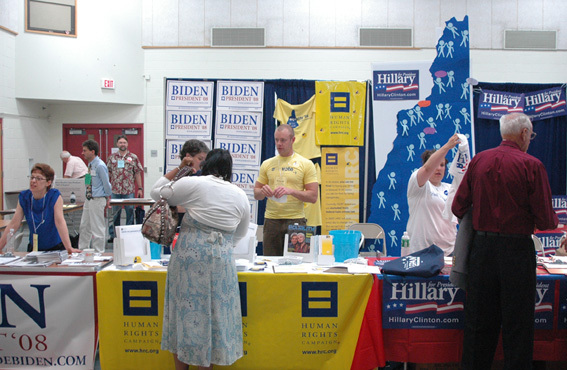 The nine platinum level sponsors ($5,000) included Joe Biden for President and Hillary Clinton for President. The two gold level sponsors ($2,500) were Chris Dodd for President and Bill Richardson for President. None of the presidential campaigns sponsored at the Silver level ($1,000). The ten bronze sponsors ($500) included John Edwards for President and Dennis Kucinich for President.